Solenoid Valve Our Expertise with the years of experience in Solenoid Valves offers a comprehensive line of super quality Solenoid Valve to the clients. 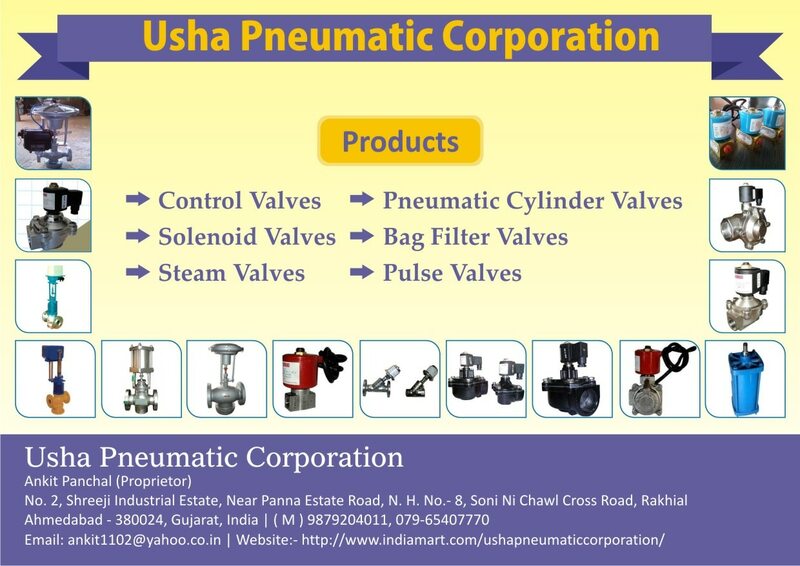 The Range Includes Pulse Jet Solenoid Valve, Diaphragm Operated Solenoid Valve, and many more. The features of Offered products are well know for its Good Quality, high Durability, and quick Function, and also easy installation. Specification : Material : Aluminum Body : S.S 304/CF8 Temp : 125 C Pressure : Up to 10 kg/cm Standard : 220 VAC. Connection : BSP Fluid : Air.